Works with all major IDE and Code editors. Eslint requires Node,js to be installed on your machine, so if you do not have it, please download the latest stable release from the main website. After Node.js is up and running, we can move to the next step by opening a Command Prompt and installing the Eslint package from NPM (visit the NPM website for more information regarding its usage). Now that we have Eslint fully configured, it is time to dive into the configuration file to see how a configuration file is structured, and what configurations are set in our setup. As mentioned above, there are hundreds of configurations, all well documented on the Eslint website. The first section of our configuration file includes the root setting. This is an optional setting that define the root of your project. Projects can have more than one Eslint configuration file, and when running it, it will search in the current folder and all its ancestors until it finds the root value. The next setting used is the env (environment). Using this setting will load specific environment setting. For example in the case above we are allowing the use of ES6 notation, therefore we would not have any error triggered if using the arrow notation =>. 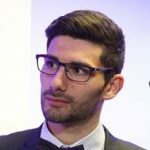 The global configuration accept a object that will determine global variables that we can use within our JS files, without the need to be declared. Failing to do so, will trigger a no-undef error. For example, when we added jQuery in the env setting above, has indirectly set a global for $ and jQuery variables. This setting is really useful to support the user to understand unexpected dependencies that you may have, that will result in hard unit testing. Most of the configuration have three simple settings. off – This configuration is self explanatory. It will switch the error off. warn – This setting will trigger a Warning error. In many IDE warning are displayed with a Yellow underline. error – This setting will return an error. A file could have some warning, but you should always aim for “error free” files. Some specific rules have more arguments that can be used, but I will be wasting time trying to explain them, as the Eslint documentation is really complete. Eslint CLI is fantastic, but I do not expect you to run it every single time you modify a file, and even if the linter gives you the line number for it, it would still be hard to use on a daily basis. Luckily for us, Eslint is very easy to set up in most of the major code editors. In this section of the article, I am going to show how you install the linted on Visual Studio Code, that is my editor of choice. 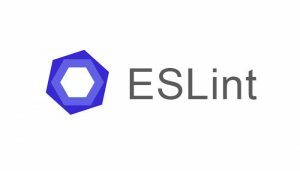 To use Eslint in the editor, we need to first install the official extension called ESlint. To access the extension page click the Extension button on the left menu or click Ctrl+ Shift + X (on windows). After installing the above extension, you will be required to restart the editor for the effect to take place. On restart, assuming your Eslint configuration file is in the correct folder, you will be able to immediately see errors highlighted in real time. The screen shots below show some of the feature available when enabling the extension. I have personally doubt the need for a tool like this, but now after using it, I cannot live without. The configuration that I have shared is a personal choice and I am more than happy for you to use it if you wish to, but at the same time, you should also dive into the available rules and see if there is anything that fit your guidelines.